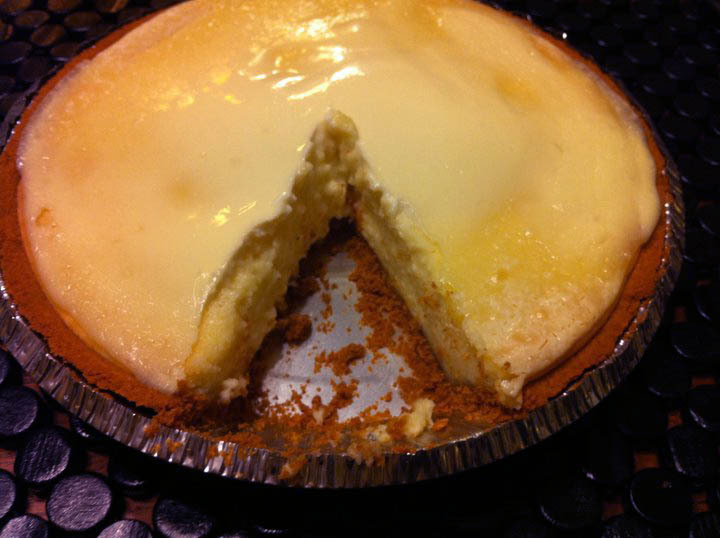 Adapted from allrecipes. I know what you're thinking. Cream cheese and egg? Yes. Delicious! This combination of ingredients when baked creates a perfect texture. It's almost like a cheesecake, except less cheesy, and sweeter. Actually, let's say for a moment that it's better than a cheesecake, because the sour cream topping is delicious! Actually, it's not even on the same level as cheesecake. turn out a little bit "lumpy" like in this photo (I just didn't soften it enough, but oh well). It should be a little bit smoother than this after being mixed together. Usually I would make my own graham cracker crust, but decided not to after my mother requested I make this pie. You see, my mother grew up with her grandmother making a cream cheese pie. She can't stop talking about it, and it put some pressure on me. She went on and on about how it was so simple, nothing fancy, not homemade crust, etc. 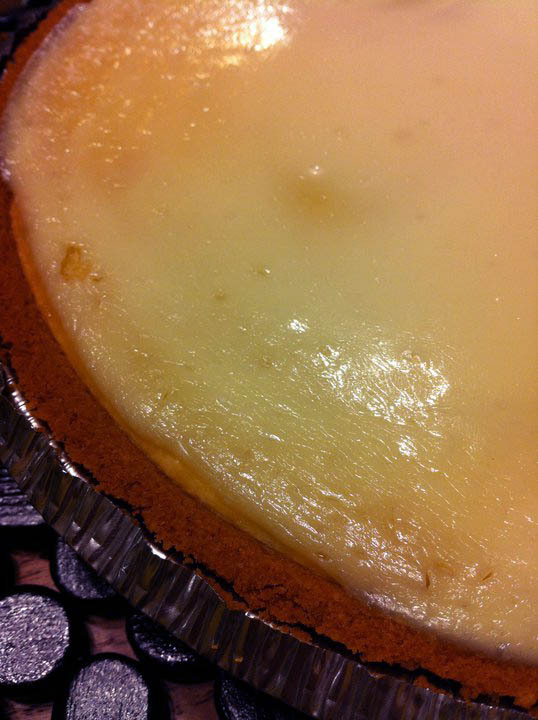 Of course, it turned out nothing like her beloved cream cheese pie, but it was still delicious. And I know that my graham cracker crust is much better than this crappy store bought crust. Anyways, moving on. 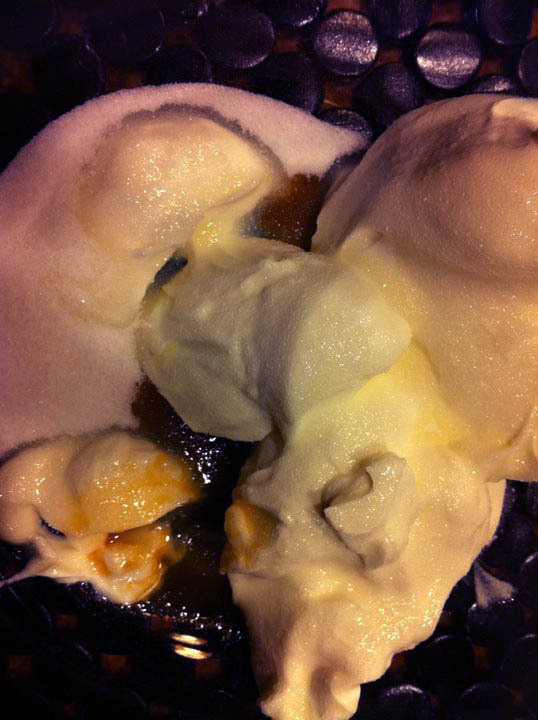 This sour cream topping is to dye for. I literally wanted to eat it out of the bowl, because there was extra, but my family was fighting over licking the bowl, so I let them have it! 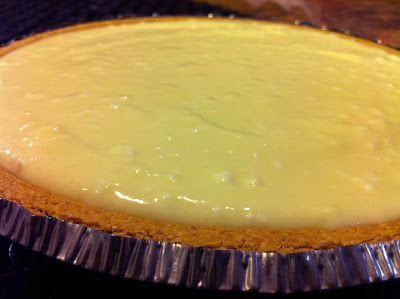 Cream cheese topping applied to the top of the already baked pie! time than what the recipe called for. And it turned out great. Yum yum yum. Creamy goodness. Enjoy! 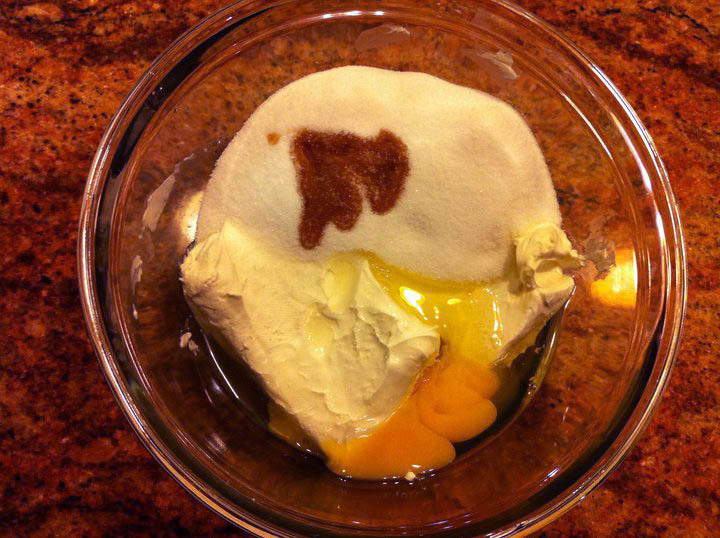 Combine cream cheese, eggs, 1 cup sugar, and 1 teaspoon vanilla in a large bowl. On low setting of electric mixer, mix until well blended. Bake at 350 degrees F for 35-55 (mine took 50 minutes) minutes. Remove pie from oven when moved, the pie isn't too loose. Raise oven temperature to 450 degrees F.
In a small bowl, blend sour cream, 2 tablespoons sugar, and 1/4 teaspoon vanilla together. 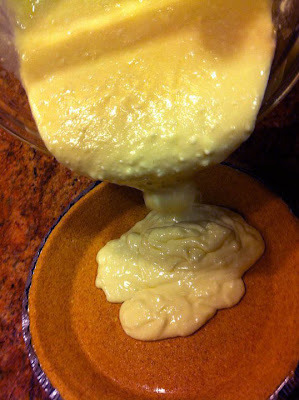 Gently spread mixture over pie. Bake for five minutes before serving. Serve either warm or cold depending on what you prefer.